Have a beautiful wreath and want to showcase it against your door? Why not add an elegant and festive wreath hanger. The top hanging bracket design offers extra strength to securely hang your wreath on your front door. The hanger features adjustable height to suit your preferences and door style: whether your door has a window or decorative molding on the front or just recessed decorative trim, the adjustable wreath hanger is the perfect solution. Each decorative wreath hanger is designed to hold your treasured wreath without causing damage to your door. 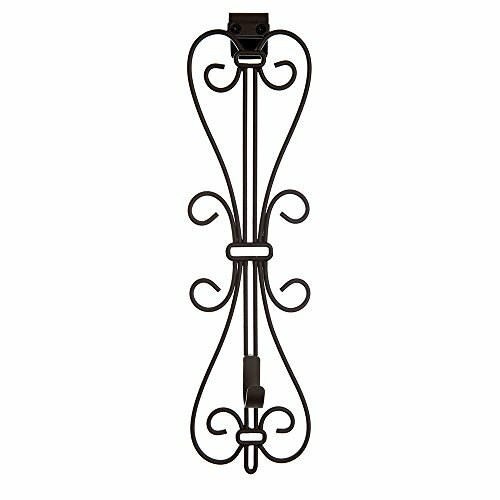 Designed with a durable wrought iron style with a brown protective coating to ensure that the wreath hanger will hold up for years to come. A perfect companion to one of our Garland Hangers!